Joel Hemenway has joined the Treasure Valley Plumbing and Drain Clean Services team of top-notch plumbers and drain cleaners. Joel has worked for us from time to time over the last few years, he’s a great person and a great plumber that we are proud to have on our team. 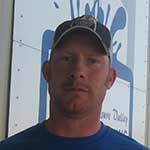 Joel grew up in Fruitland, Idaho, and has been a Journeyman Plumber for several years. We were very fortunate to bring him on in April and appreciate his hard-working, professional, and loyal attitude. He’s had a lot of plumbing experience and even inspection experience, and we are very glad to have him with us. Welcome to the TVPD team, Joel. If you are in need of plumbing, drain cleaning, or related inspection services, please contact us. We are happy to assist you.